Clear Tamei is a song about some floating beings called Mogu and Tamei that I sometimes accidentally invite into my room when I’m trying to make up words for songs. When they come over it makes me feel really tired and my skin gets pink bruises and I always fall asleep. This song is sometimes really slow and really fast and I imagine that the song is see-through with glowing guts. 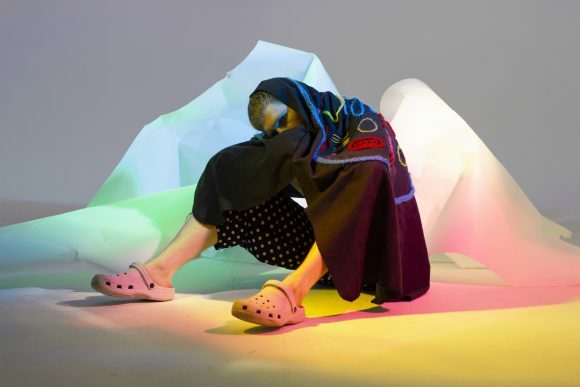 If you want to know more about Ighlooghost, AIGA Eye on Design did a great feature on him back in 2017. Written by: Dagmar on 09/15/2018. This entry was tagged clear tamei, ighlooghost, posted by dagmar. Bookmark the permalink.